This entry was posted in Substance Abuse and tagged Managing Symptoms, Pain Medication, Preventing Misuse, Signs and Symptoms on August 16, 2016 by Team Addiction Hope. Ibuprofen is one of the most common pain relievers on the market. It’s part of the nonsteroidal anti-inflammatory drug (NSAID) class. Ibuprofen does come in prescription form (800 mg), but it is also available over the counter in drops, tablets, suspension and chewables. Package directions specify that the maximum dosage per day is 1,200 mg, although prescriptions can reach 3,200 mg per day. One reason ibuprofen is so popular is that it reduces swelling and fever as well as regular pain. People use it to treat everything from sprained ankles to migraines and everything in between. Because it is so easy to acquire, ibuprofen is often used as a daily pain management medication. Despite its presence in medicine cabinets across the country, the drug is not without risk. Sometimes, these dangers are very serious. People who take ibuprofen and notice such side effects will likely stop using it if the symptoms are debilitating. However, this scenario actually puts them at less risk than those who consume the medication over long periods – even if they don’t feel any immediate, adverse reactions. Medical experts are warning people against the long-term use of ibuprofen for pain management. The consequences of extended use may develop over a period of years, and many of these users will present no symptoms in advance. Others may only see significant trouble after extensive damage is already done. The elderly are at increased risk of complications such as GI bleeding and kidney failure due to the physiological changes that make them more susceptible to adverse reactions. In fact, many health care professionals are recommending opiates for their pain instead. Such decisions have been a surprise to many in the health care community who are understandably concerned about the high rate of addiction when treating patients with opiate narcotics. 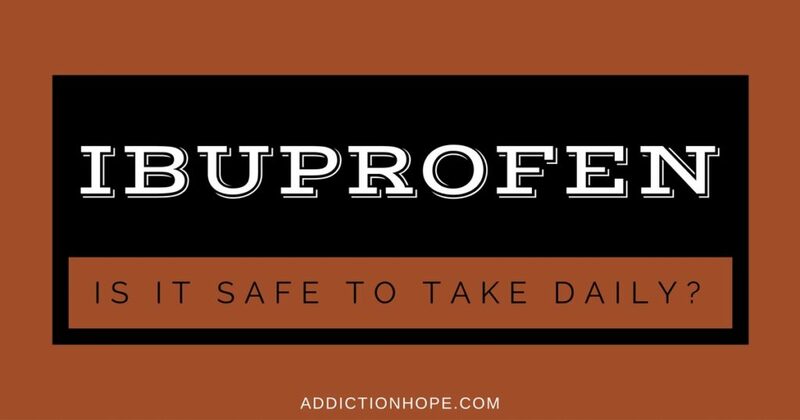 The best way to prevent negative reactions and side effects is simply to not take ibuprofen at all. Of course, for chronic pain sufferers, this may not be an option, but they may be able to lessen their reliance on NSAIDs through other means. Ginger: Studies have shown that capsules of this spice were extremely effective for reliving menstrual pain. Some even claim it was as effective as ibuprofen. Arnica: This extract is sold as homeopathic pills and in gel form. It can be used for treating bruising as well as an alternative pain reliever. It’s topical and can target pain, such as arthritis of the hands. Baicalin: Also known as Chinese skullcap, this extract has a long history of use in Asian medicine as an anti-inflammatory agent and an antibiotic. Many people rely on astaxanthin, ginkgo biloba and vitamin C for the treatment of asthmatic lung inflammation. Omega-3 fatty acids: Studies have shown that these acids, such as the ones found in fish oil, provide comfort comparable to ibuprofen for arthritis pain. John’s wort: Some studies suggest this plant extract surpasses ibuprofen, and some patients report it is twice as effective at eliminating pain. Holy basil: People have used this plant to treat inflammation for centuries in India, and some use it for the same symptom relief they get from medical marijuana. Anthocyanins: Another inflammation reducer, these pigments are responsible for giving fruits like cherries their color. Panax ginseng: This herb provides analgesic properties as well as anti-inflammatory benefits. It has been recommended as an anti-rheumatoid arthritis agent. Ice and/or heat compresses: These are a great choice for treating physical injuries, especially. Cold will numb the pain and reduce swelling, while heat works on muscle tension. Even though this drug in millions of first aid kits across the nation, ibuprofen shouldn’t be the first line of defense again pain and inflammation. Start with the solutions listed above, and there will be less reliance on stronger drugs, which can have real consequences, including increasing a person’s risk of stroke and heart failure. If you’re experiencing pain, remember that there are all sorts of methods to reduce discomfort. Barring other NSAIDs and drugs, what is your favorite method of relieving pain?